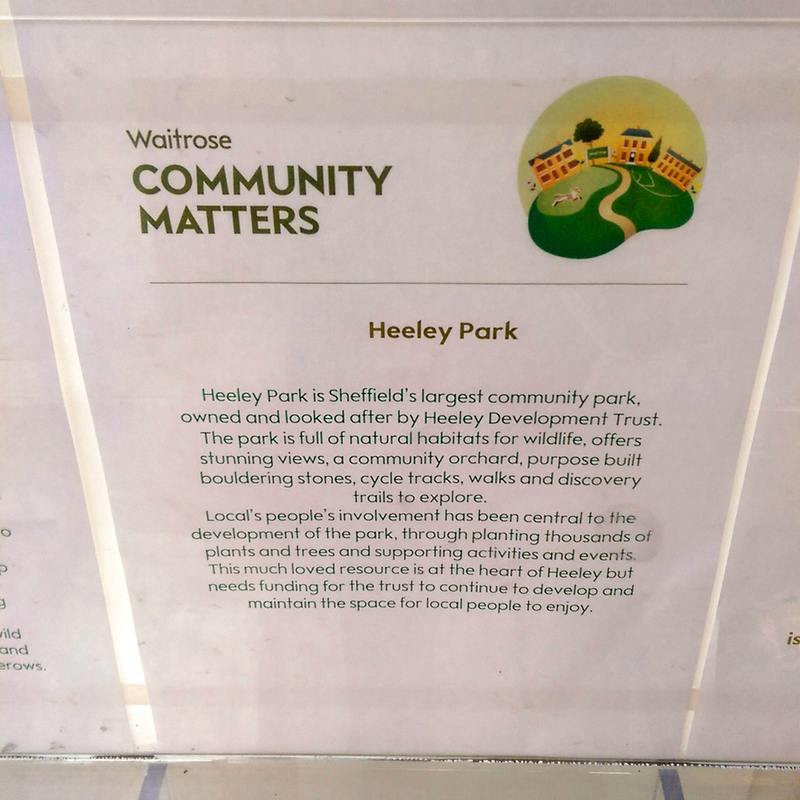 Heeley Park has been chosen to be one of the three community projects featured in the September Waitrose Community Matters scheme. 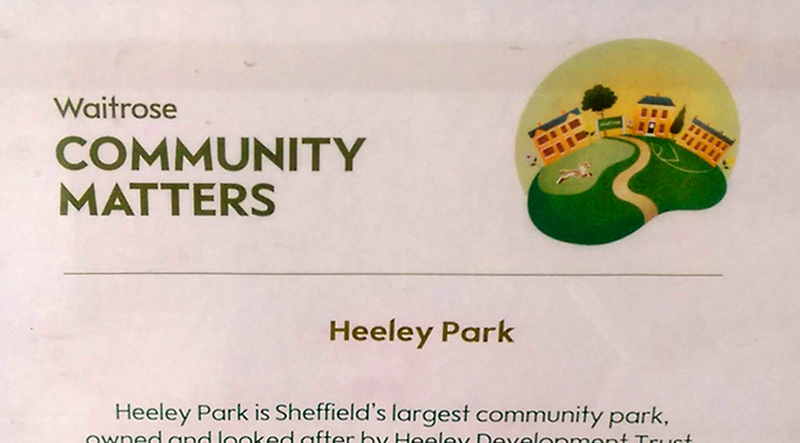 Throughout the month, if you visit Waitrose please pop the token they give you at the check-out in to our box! A total of £1,000 will be donated across the three chosen projects. The more tokens we get, the bigger our donation – so please show your support and choose us.